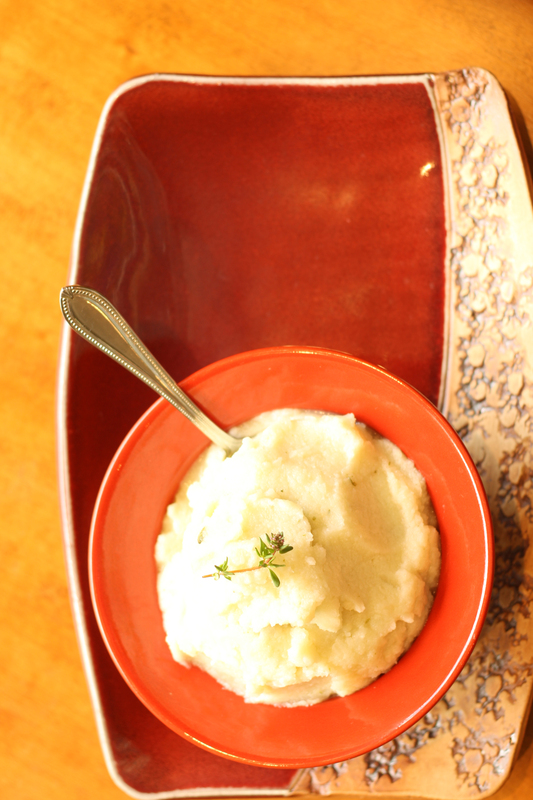 Cauliflower’s versatility shines in this healthy alternative to mashed potatoes. It is loaded with nutrients, packed with flavor, and satisfies with every bite. 1- Steam cauliflower, onion and garlic in a large skillet with about an inch of water in the bottom. Cook until very soft, about 20 minutes. 2- Drain cauliflower and onion completely. Return to pot and blend with an immersion blender or mash very well with a potato masher. 3- Add coconut oil, thyme and salt substitute. Stir well to combine.